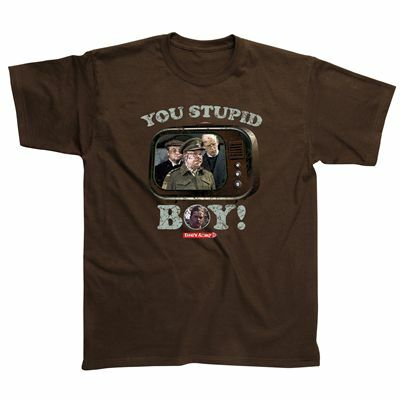 Rebuke your entourage in the style of Captain Mainwaring with the Dads Army Stupid Boy t-shirt. Put your friends in their place succinctly with this famous quote “You stupid boy!” and enjoy the vintage TV on the printed design. This official t-shirt is short-sleeved, round-necked and made from 100% cotton. for submitting product review about Dads Army Stupid Boy T-Shirt.